These are very high quality 100% brushed cotton twill low-profile caps. 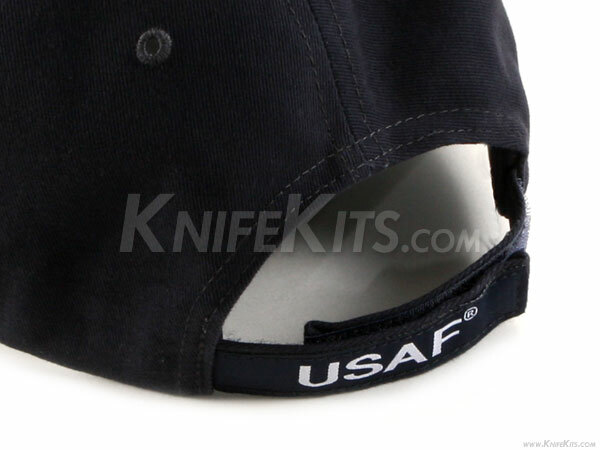 They feature a padded sweatband with a fully adjustable hook-n-loop closure strap with "USAF" logo. These are double-stitched and reinforced. They are the same high quality that you'll find with sports team and/or professional hunting manufacturer logos. This one is Blue in color and has a fully stitched insignia emblazoned on the front with text on the brim edge and adjustment strap. 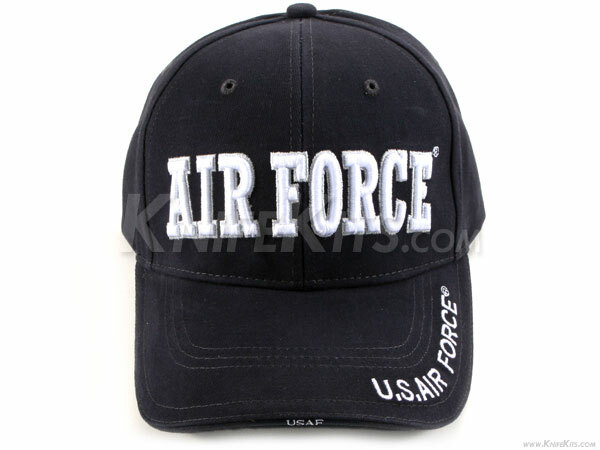 These are officially licensed and are worn by USAF members and fans worldwide.